We offer you a personal service. If you need any help please telephone as emails are often unclear and become misunderstood! 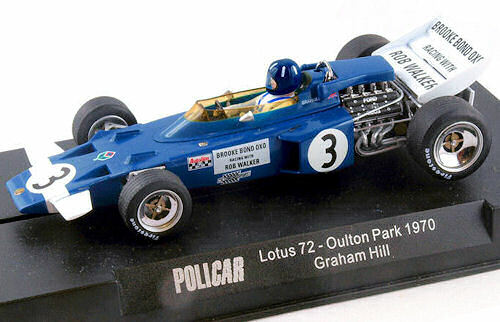 We list over 3000 products and can recommend a slot car set whatever size. 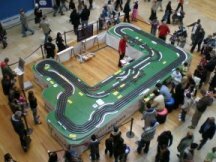 We want you to enjoy the slot car hobby. 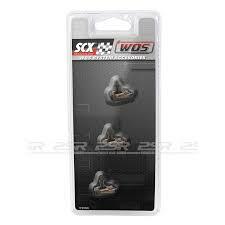 If you want to try out Scx, Carrera or Ninco we can show you and let you have a go on one of our demonstration tracks. We also assume our buyers are enthusiasts- if you need us to check over a car before sending let us know by email when you are buying or thinking of buying. It is too late once you have the product in your hand! Each day saw 1000 spectators on average watching the racing at any one time. We also recorded the names and address of 600 people per shopping centre. A constant race commentary was provided highlighting the company and the prizes on offer. Postage is confusing and complicated to program into the website we will endevour to send and charge you the most economic way. If the post seem wrong send a message we will correct the amounts before we charge your card or ask for payment. depends on the weight if you want special delivery send a note with the order. Why not call us for help designing or choosing a set? We can advise and help you plan a bespoke layout. By contacting us we will let you know of new products and special offers and keep you informed about the slot car hobby practices. The Proam Plus WiCo Set is the most complete first-price Ninco circuit. It optimizes space thanks to the curved bridge. More than 10 meters length consisting of 34 tracks and lifting bridges. Perfect for drivers looking for a circuit to put the car to the limit along its 4 corners. It includes WiCo system with 2 wireless controllers with 2.4GHz technology to play from any point in the circuit. Also it allows freedom of movements and walking away more than 25 meters without any interference or power failure. The Pro-am Plus WiCo Set does not include cars, but the Ninco tracks are compatible with all analogue car manufacturers.